Fellow Locust God player and I second the bounce cards as a form of removal. If you have a wheel effect ready then bouncing a problematic permanent is a fantastic, otherwise they can remove an obstacle to winning that turn, i.e. an opponents Propaganda . For bounce I run Disperse , Echoing Truth , Into the Roil and Wash Out . 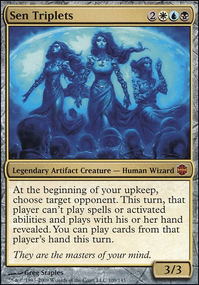 I found that any card 6 cmc or greater was hard to play as I often wanted to cast The Locust God or if he was already on the field I wanted to play my cheap wheels/draw cards, not a single high cmc card. 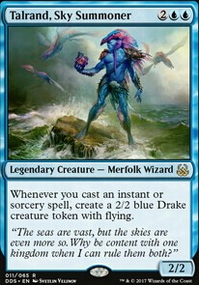 Specifically Windreader Sphinx & Warstorm Surge and to a lesser extent Arjun, the Shifting Flame & Niv-Mizzet, the Firemind . Solid deck though, we have a lot of the same core elements. Locust God is awesome, he is one of my favorite decks at the moment. ChaosLlama on Lost your Marbles? 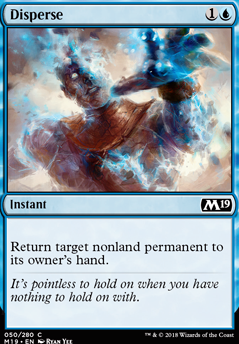 You might consider dropping a couple of the mainboard Negate for something a bit more flexible like Syncopate or Quench . Since you're banking on both surveil and discard synergies, I think Disinformation Campaign is good enough to mainboard, as it plays very nicely into both. griptod, you can use [] (double brackets) and a username to @ somebody. Bruh. 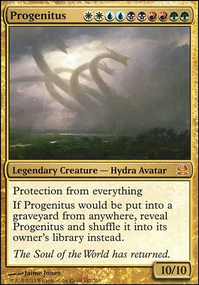 Tri-color decks are fairly difficult to play in modern, so draw power is pretty essential. In this case, you have none. 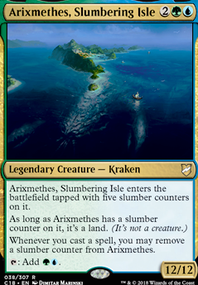 You will run out of cards eventually, be it you're summoning a bunch of creatures, or you're trying to control. You can only get one Daxos of Meletis onto the field at a time due to the legend rule. Having extras in your hand can be a liability. Your opponent could burn your creatures as soon as they come out, ruining your strategy and leaving you defenseless. 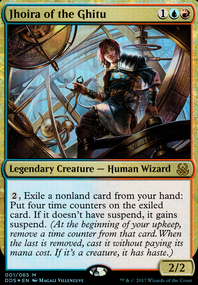 True, you have counters and a cheap Disperse type card to protect them, but that's assuming you're willing to break your own tempo and not curve out each turn. You could try controlling the boardstate with counters and killspells before playing creatures, but like I said earlier, you'll run out of cards eventually and be subject to top decking, or worse, having too large of a hand. Reduce the number of kill spells to make room for draw cards, such as Opt , Divination , Chemister's Insight , etc.. This will keep you from running out of cards if you get controlled. 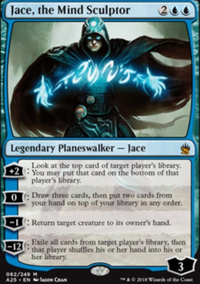 You could take out maybe 1 or 2 of Daxos to make way for another legendary creature or planeswalker. I would think you'd want to have at least one card in your deck that completely changes the game. Of course, this is your deck, so you don't need to take my advice, but do consider what I've said so nobody loses any toes.